Presented by Lili‘uokalani in Washington D.C. 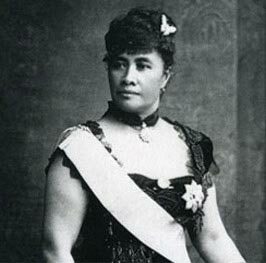 I, Lili‘uokalani of Hawai‘i, by the will of God named heir apparent on the tenth day of April, A.D. 1877, and by the grace of God Queen of the Hawaiian Islands on the seventeenth day of January, A.D. 1893, do hereby protest against the ratification of a certain treaty, which, so I am informed, has been signed at Washington by Messrs. Hatch, Thurston, and Kinney, purporting to cede those Islands to the territory and dominion of the United States. I declare such a treaty to be an act of wrong toward the native and part-native people of Hawaii, an invasion of the rights of the ruling chiefs, in violation of international rights both toward my people and toward friendly nations with whom they have made treaties, the perpetuation of the fraud whereby the constitutional government was overthrown, and, finally, an act of gross injustice to me. Because the official protests made by me on the seventeenth day of January, 1893, to the so-called Provisional Government was signed by me, and received by said government with the assurance that the case was referred to the United States of America for arbitration. Because that protest and my communications to the United States Government immediately thereafter expressly declare that I yielded my authority to the forces of the United States in order to avoid bloodshed, and because I recognized the futility of a conflict with so formidable a power. Because the President of the United States, the Secretary of State, and an envoy commissioned by them reported in official documents that my government was unlawfully coerced by the forces, diplomatic and naval, of the United States; that I was at the date of their investigations the constitutional ruler of my people. 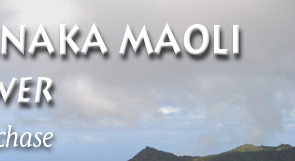 Because neither the above-named commission nor the government which sends it has ever received any such authority from the registered voters of Hawaii, but derives its assumed powers from the so-called committee of public safety, organized on or about the seventeenth day of January, 1893, said committee being composed largely of persons claiming American citizenship, and not one single Hawaiian was a member thereof, or in any way participated in the demonstration leading to its existence. Because my people, about forty thousand in number, have in no way been consulted by those, three thousand in number, who claim the right to destroy the independence of Hawaii. My people constitute four-fifths of the legally qualified voters of Hawaii, and excluding those imported for the demands of labor, about the same proportion of the inhabitants. Because said treaty ignores, not only the civic rights of my people, but, further, the hereditary property of their chiefs. Of the 4,000,000 acres composing the territory said treaty offers to annex, 1,000,000 or 915,000 acres has in no way been heretofore recognized as other than the private property of the constitutional monarch, subject to a control in no way differing from other items of a private estate. Because it is proposed by said treaty to confiscate said property, technically called the crown lands, those legally entitled thereto, either now or in succession, receiving no consideration whatever for estates, their title to which has been always undisputed, and which is legitimately in my name at this date. 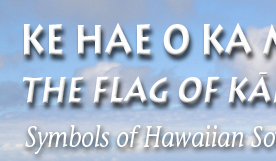 Because, by treating with the parties claiming at this time the right to cede said territory of Hawaii, the Government of the United States receives such territory from the hands of those whom its own magistrates (legally elected by the people of the United States, and in office in 1893) pronounced fraudulently in power and unconstitutionally ruling Hawaii. 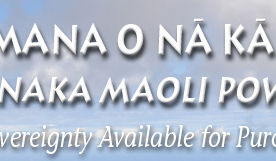 Therefore I, Lili‘uokalani of Hawaii, do hereby call upon the President of that nation, to whom alone I yielded my property and my authority, to withdraw said treaty (ceding said Islands) from further consideration. I ask the honorable Senate of the United States to decline to ratify said treaty, and I implore the people of this great and good nation, from whom my ancestors learned the Christian religion, to sustain their representatives in such acts of justice and equity as may be in accord with the principles of their fathers, and to the Almighty Ruler of the universe, to him who judgeth righteously, I commit my cause. Wokeki Heleluhe } Witnesses to Signature.